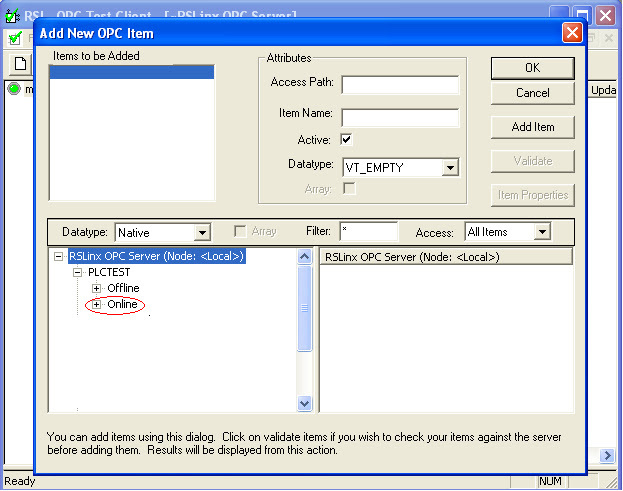 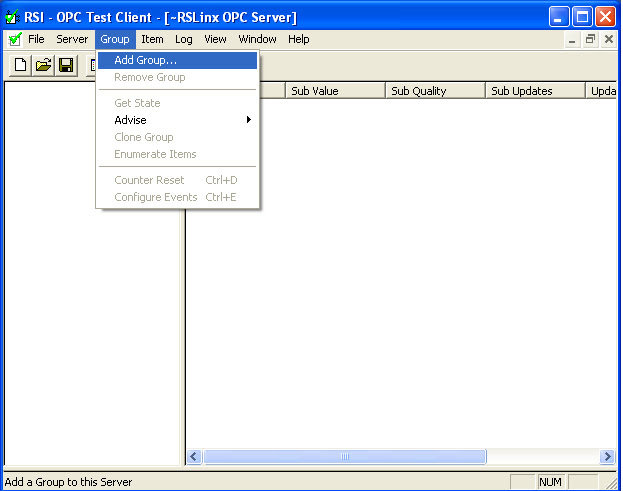 Usually when i have to analyze OPC Servers connectivity i use RsLinx OPC test client. 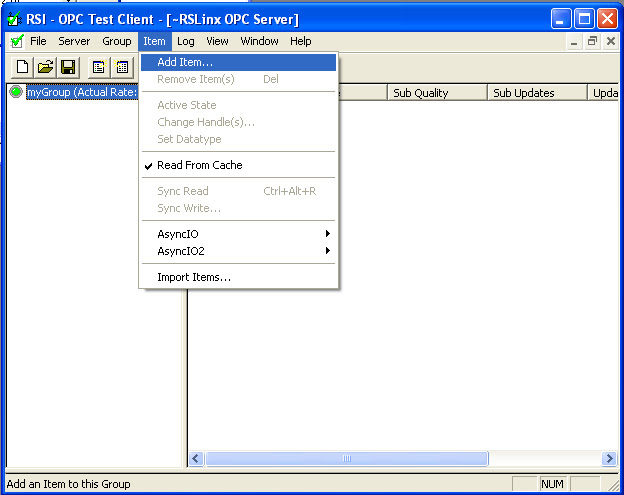 This is a software provided for free in every version of RsLinx (it’s included in the lite too) and you can download RsLinx lite following the procedure described here. 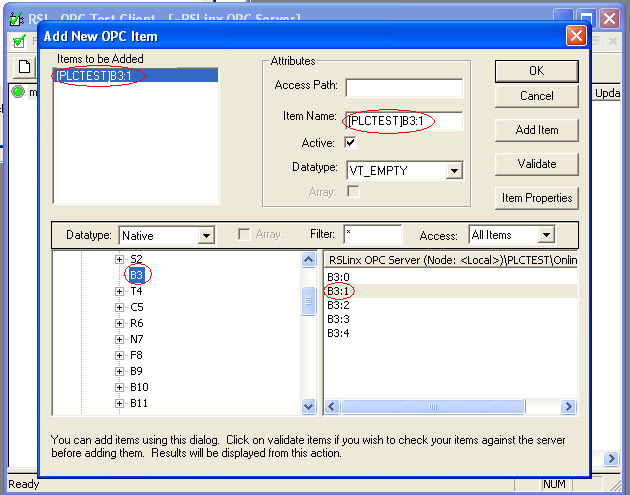 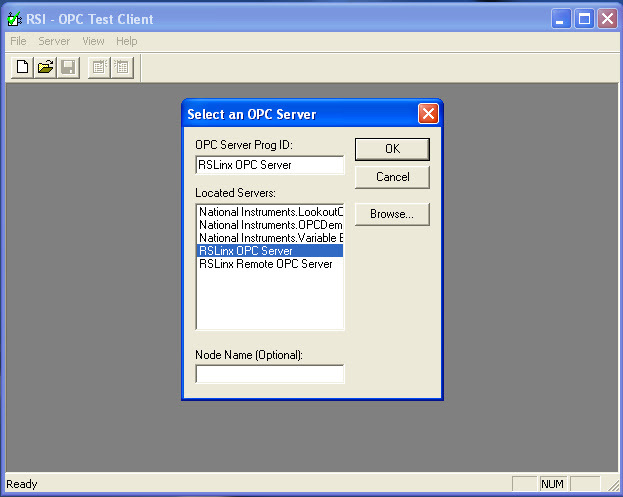 Now you can see that all it’s working and know the path to insert in your opc client. 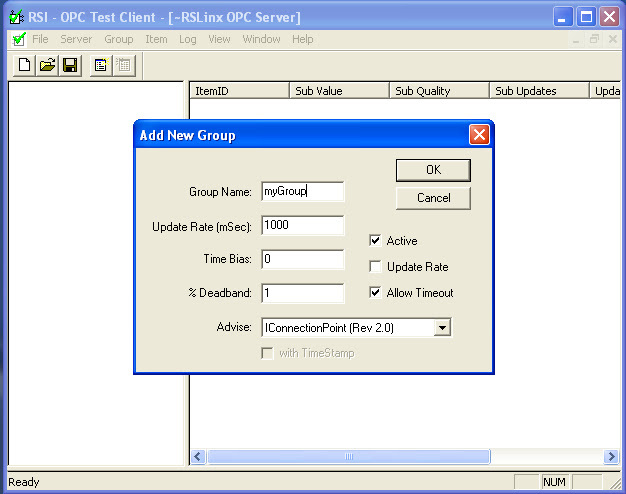 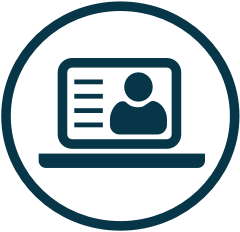 The procedure that we just made it’s the same as when we write the OPC client, because we have to connect to our OPC Server, create a group and assign it an update rate, then add items under this group.